Setting prices for shipping is often more difficult than setting prices for the products that are being shipped. It's hard to know if you should charge more for shipping and less for the product or vice versa. Some people don't charge for shipping at all. Of course, what you charge for shipping may also determine how you ship your product and thus how long it takes to reach customers. With so many variables, it's no wonder that shipping creates so much anxiety for sellers. Here are a few things to consider when deciding what to charge for shipping. A survey conducted by Jupiter Media Matrix Inc. found that 63% of customers will cancel an order if they felt shipping costs are excessive. An even greater number of people say that they will not do business with a company that overcharges for shipping. In short, don't expect to make a profit on shipping. Interestingly, the same survey did find that 45% of companies make money on shipping. The only way to make money on shipping without losing business is to ensure that customers never find out how much shipping really costs. The chances of a customer finding out, however, are high. If customers do find out, it's easy for them to spread the bad news via sites like Amazon and Yelp, which can be a disaster. You are better off losing money on shipping, like 45% of companies claim to do, than offending customers and losing business. Only 10% of companies claim to break even on shipping. The easiest way to break even on your shipping is to use a flat-rate calculation. You simply average out your shipping costs so that you lose money on half and make money on half of shipments. In the end, you come out dead even. The problem with flat-rate shipping is that some customers are getting a deal while others are overpaying. You are likely to lose business if the customers who are overpaying find a cheaper alternative. In the end, flat-rating shipping may drive away the profitable customers and leave only those you take a loss on. It's not exactly the best solution, but it may work in a pinch or if differences between the highest and lowest rates are negligible. Calculated shipping is more complicated, but ensures that customers pay exactly what it costs to get their product. The trick to calculated shipping is that you have to know the weight, dimensions, and other factors about your product that affect cost. If you know these values, then it is easy to automate the calculations during the checkout process or to make hand calculations if you ship things manually. The down side to calculated shipping is that some people will pay very high prices to get their products and thus may choose a cheaper retailer. Most people who live in remote areas are used to paying high shipping costs, but people who have a choice will choose a cheaper alternative. Be aware of who your target customers are. Free shipping isn't really free. You use the flat-rate shipping method to calculate your average cost and then add that into the price of your products. Now, you might think that this method suffers from the same drawbacks as the flat-rate method, but it doesn't. Customers who see the "free shipping" offer are more likely to buy your product than if they paid the same total price, but had to look at a shipping charge. It's an odd psychological phenomenon, but even thinking that you are getting something for free is enough to make the product more appealing. 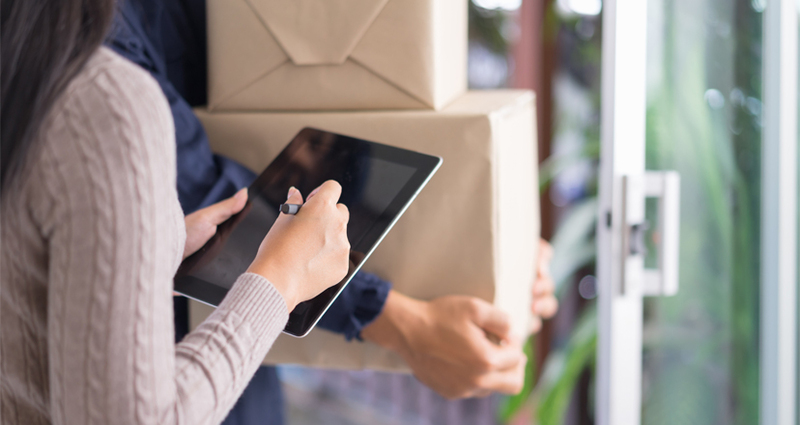 In addition to offering free shipping, many companies will also offer customers the choice of paying for enhanced (faster delivery, insurance, etc.) shipping. There is no one right method for determining shipping costs. You will have to decide what works best for your particular business and the customers who buy from you. In the end, try to be honest about costs so that customers don't feel betrayed. It's better to be forthright and lose a little business than to get a reputation that damages your credibility.